Something timeless that can be treasured forever. Something to remind him of us and how much we appreciate him and all he does daily. Slaving away, doing the 9-5 'til 65. That can't be fun. But he does it anyway, out of love. Wouldn't it be nice if he had something to remember us by each time he glances down on his wrist to check how many hours he has left 'til he gets to head back home? Yup, a watch. But not just any watch. A beautiful watch he can wear to work and play but most importantly, a watch of quality that we can afford to give him. 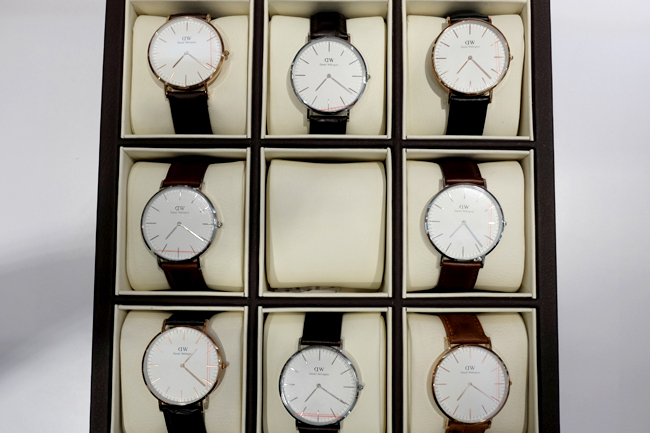 Released just in time for Father's Day, these new watches are guaranteed to be at the top of every man's want list. And guess what? 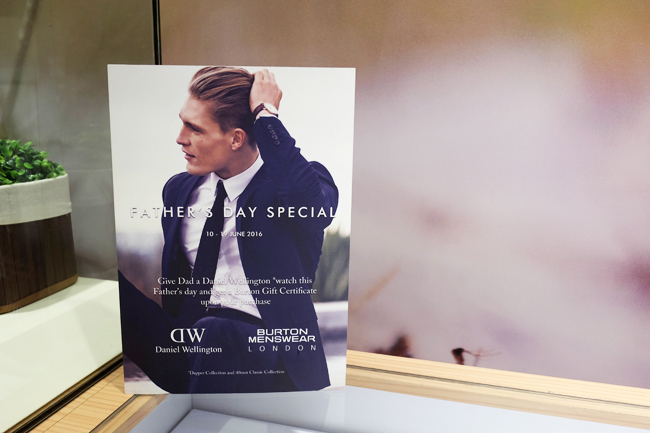 If you shop today 'til June 19, they'll even throw in some Burton Menswear gift certificates. 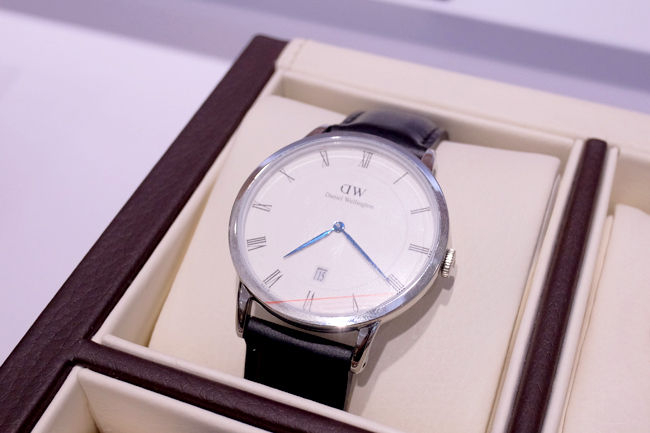 Now you don't just get to give your dad/husband a watch, but also a perfect suit to go with it. All three come with the same eggshell-white dial, deep-blue hands, Roman numerals, and date display - must-have when writing checks and signing documents. 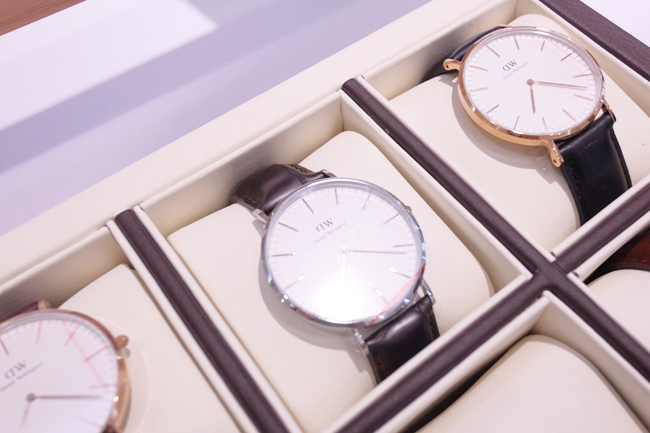 The new watches are available in silver or rose gold with a 6mm-thick case and scratch-resistant mineral crystal glass. Even better? All DW watches can withstand water and pressure of up to 3 ATM. You will never fully realize what the fuss is all about until you visit a showroom and try one on yourself. 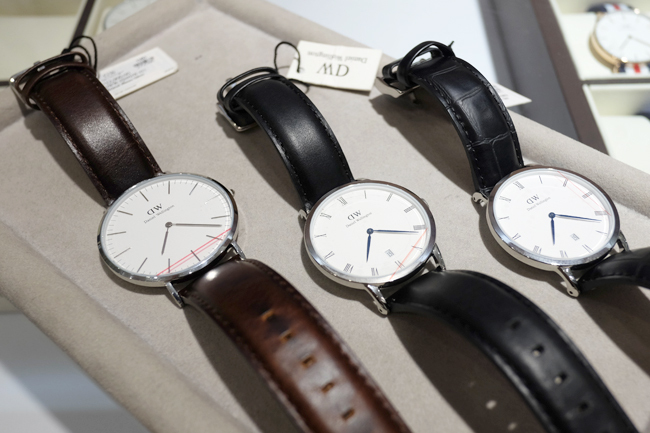 The simplicity and elegant finish of these watches are what makes them so timeless. They're easily dressed up or down making them versatile enough to go with any outfit and the leather they use for their straps are gorgeous. Sturdy and yet buttery soft at the same time. Daniel Wellington’s new Durham Dapper 34mm is available at My Diamond in Shangri-La Plaza Mall, Glorietta 4, Gateway Mall, SM Megamall, SM Mall of Asia, Festival Supermall, Robinson’s Place Manila, Lucky Chinatown Mall, Ayala Fairview Terraces, White-Halo-SM Aura Premiere, and SM Lanang Premiere; My Tempo in Resorts World Manila and SM City North EDSA, and Washington stores in Shangri-La Plaza Mall and Powerplant Mall. Those are really elegant watches. Hubby is an engineer and prefers a more rugged style. They look so classic! I love the leather ones! Looks so elegant. A good gift but E is not really a watch type of guy. He is more of a foodie haha! Such a beautiful watch. I would like to buy this one for my husband. Woaahhh!! So classy!!! Must have for daddies! This is a perfect gift for my husband on our anniversary! He loves collecting watches. Thanks for the suggestion! Aw, that's a really lovely watch! 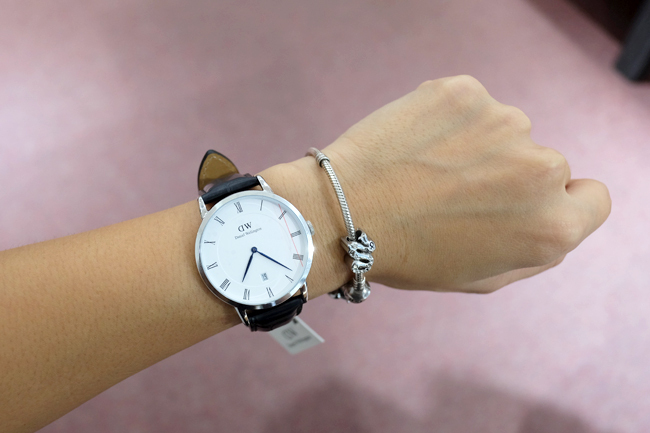 I don't have many accessories but if there's one thing I like to buy for myself - it's definitely a watch. Still don't have a decent watch as of yet. lol. Those are great looking watches. Unfortunately, my hubby doesn't like wearing watches at all. I love men's watches though. I actually ended up wearing a men's watch given to my hubby because he didn't want it. Haha! It's so classy, timeless and elegant! Too bad the husband is not a watch wearer. Indeed a fitting recommendation for father's day. Husband is a watch person and everytime we go malling, we would visit a watch shop and he would try the watch he's been dreaming to own. I didn't buy the watch as its too expensive for me. He is waiting for October when he would turn 10 years in his company and the incentive is a watch budget. 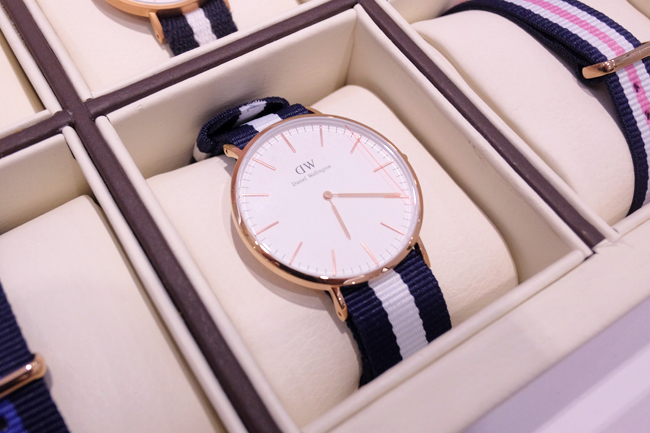 I love Daniel Wellington watches because they are elegant! My hubby would love this collection!